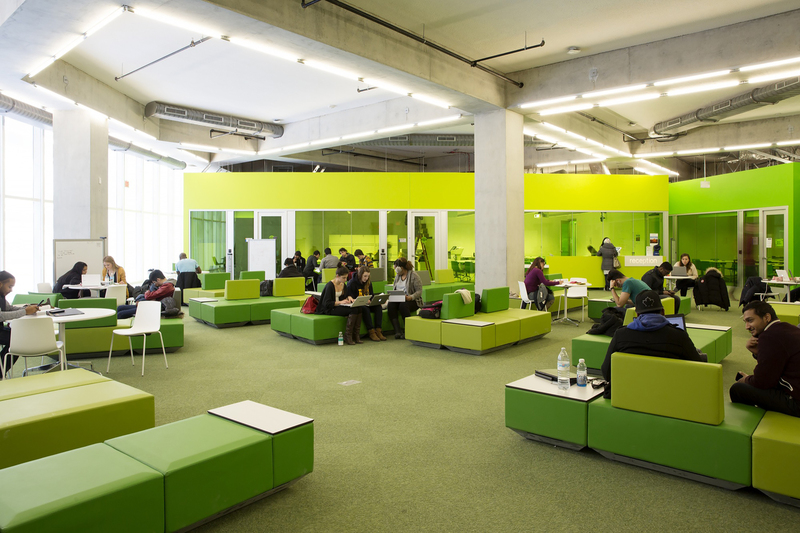 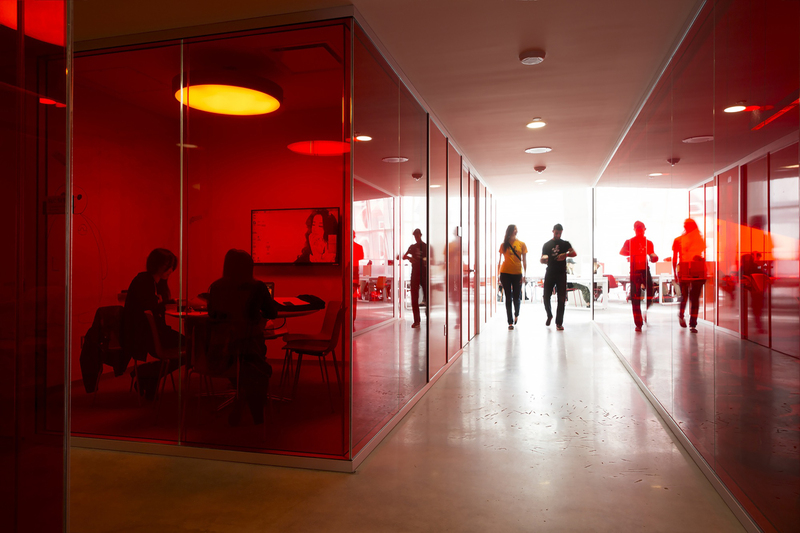 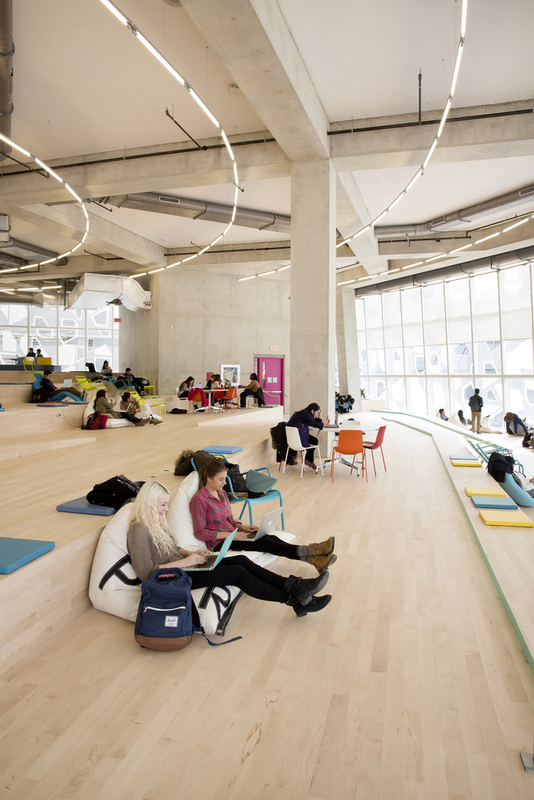 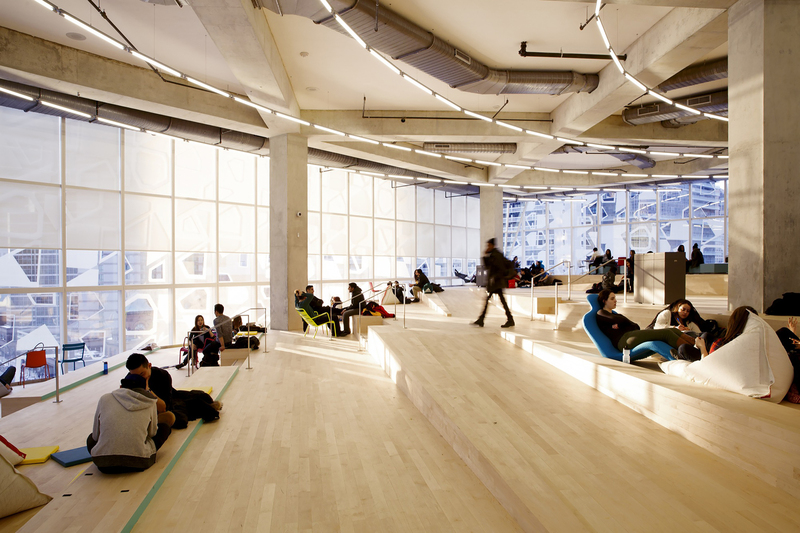 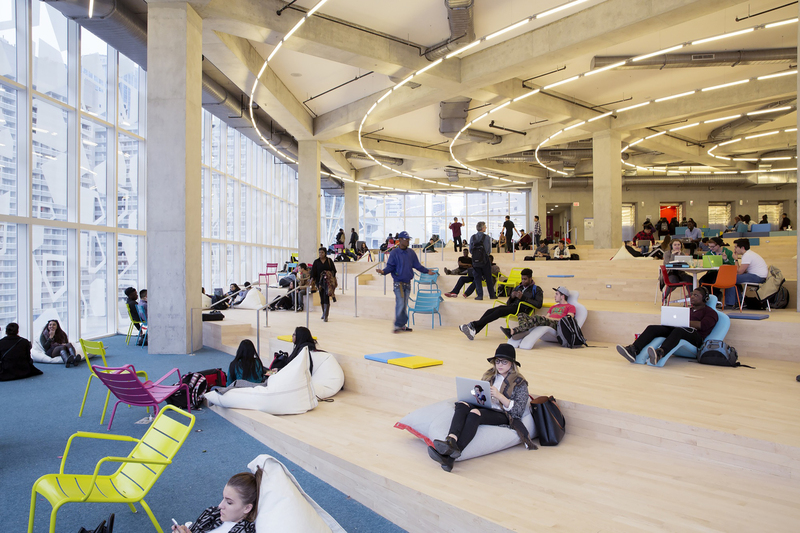 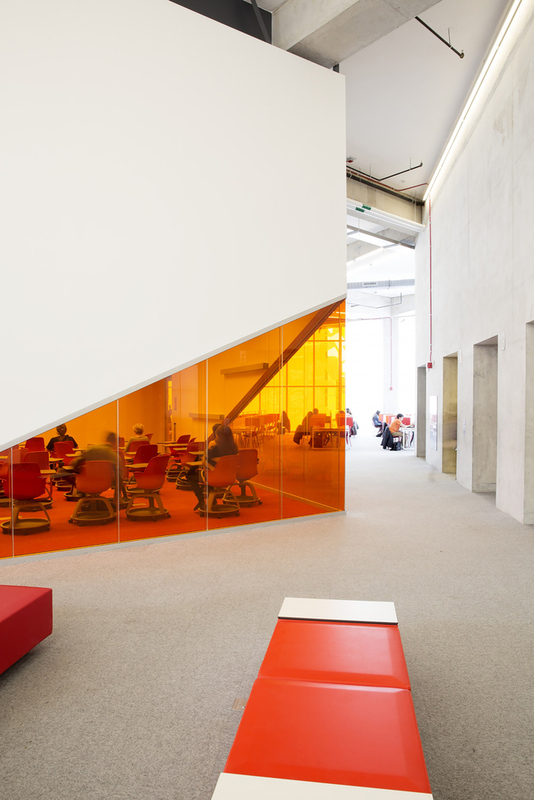 Student Learning Centre in Toronto is designed by Snøhetta and Zeidler Partnership Architects. 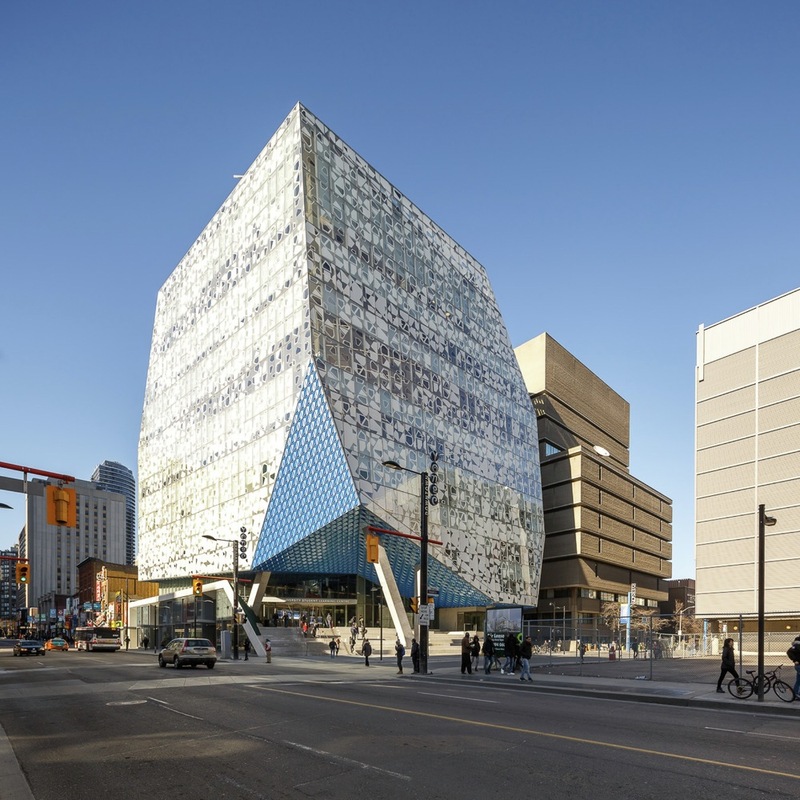 The eight-storey building, inspired by the historical gathering spaces of the Stoas and Agoras in ancient Greece, marks Ryerson’s new face on Yonge Street and gives space to meet, study, and exchange ideas.This remarkable building is conceived as a library without books and it is a library, build for the digital age that encourages students to interact with their physical environment. 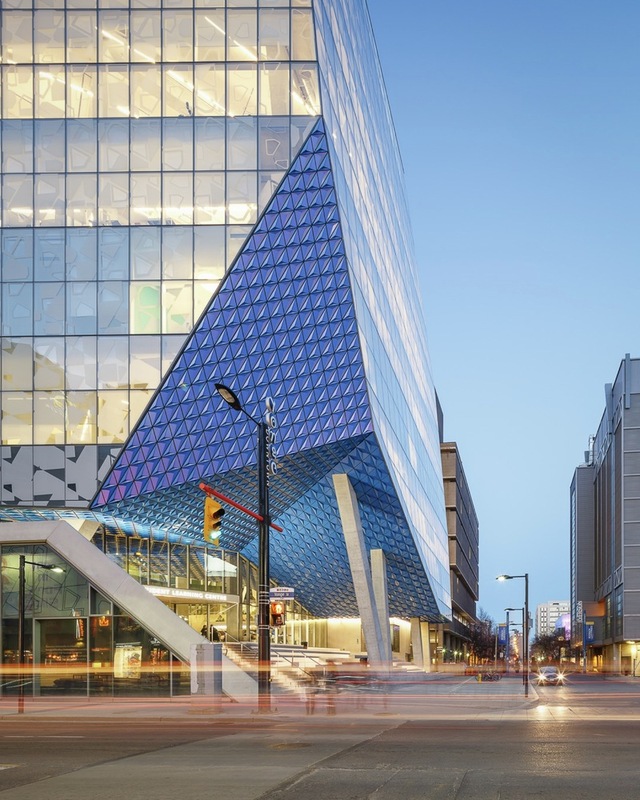 The design begins with a south-facing raised platform that opens the street corner for a broad range of pedestrian activity, from larger gatherings to smaller individual seating areas. 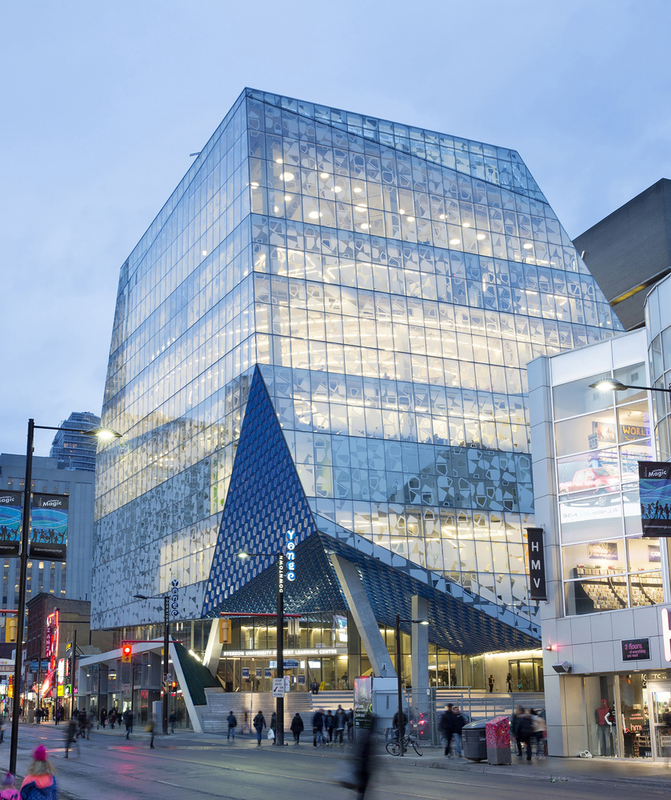 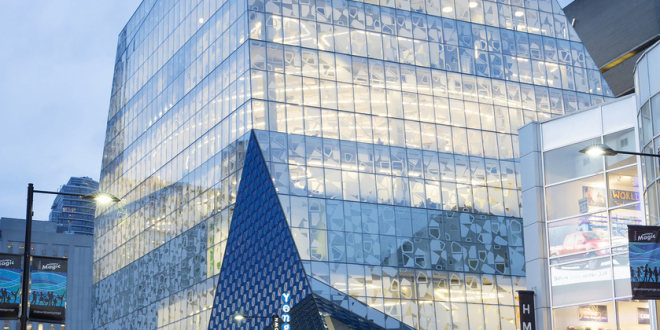 It features a digitally-printed fritted glass façade of the 155,000 sq.ft. 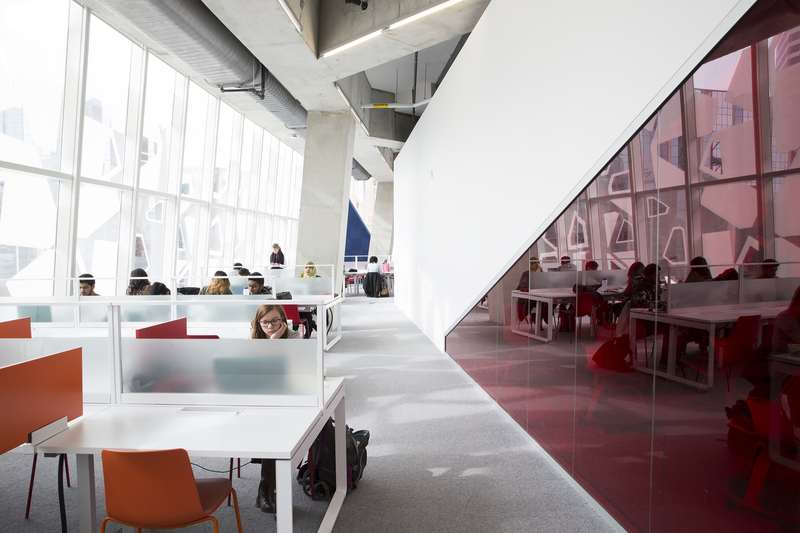 While the glass is understood to be transparent and light, it also evokes a juxtaposing sense of solidity and mass.With links to the existing Library building, the Student Learning Centre offers a variety of creative and inspiring learning environments and spaces. 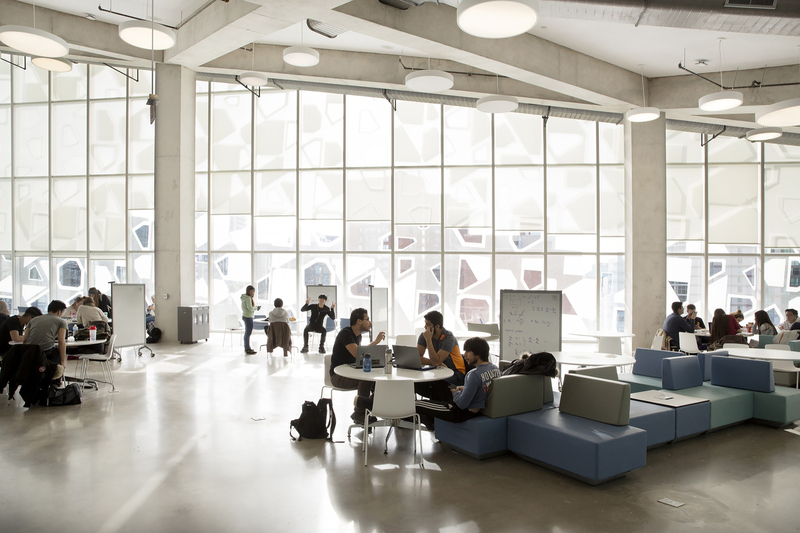 Each floor of the building offers a different kind of space with a unique atmosphere. 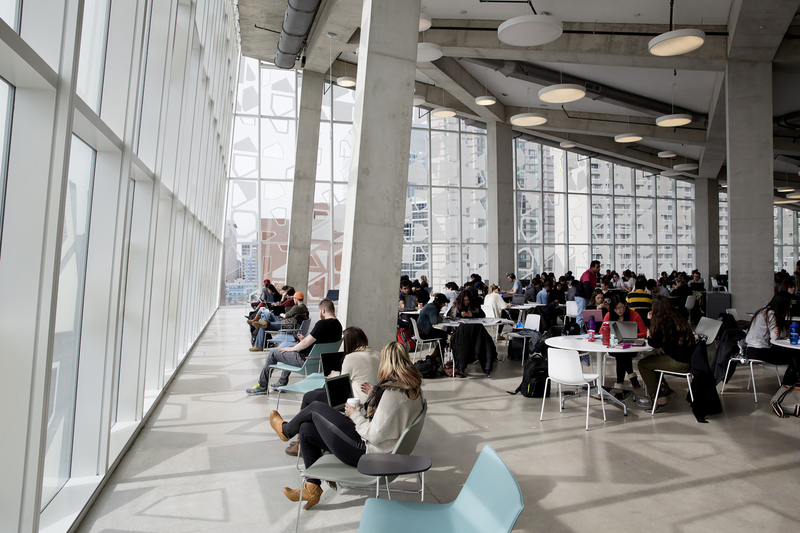 It offers own personality – whether open and interpretive with flexible furniture and terraces or densely filled with enclosed study rooms for groups of four to eight people. 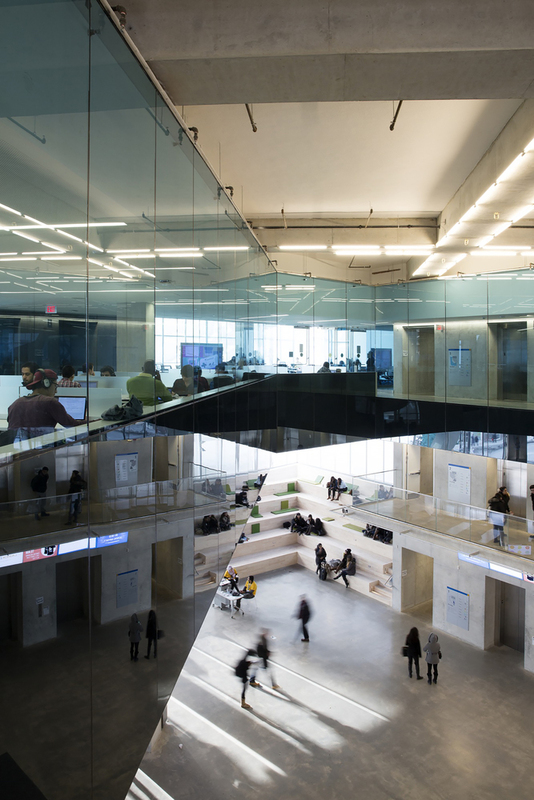 It will provide students with a welcoming, accessible, digitally connected space that is ready to adapt and accommodate new technologies, developments and services. 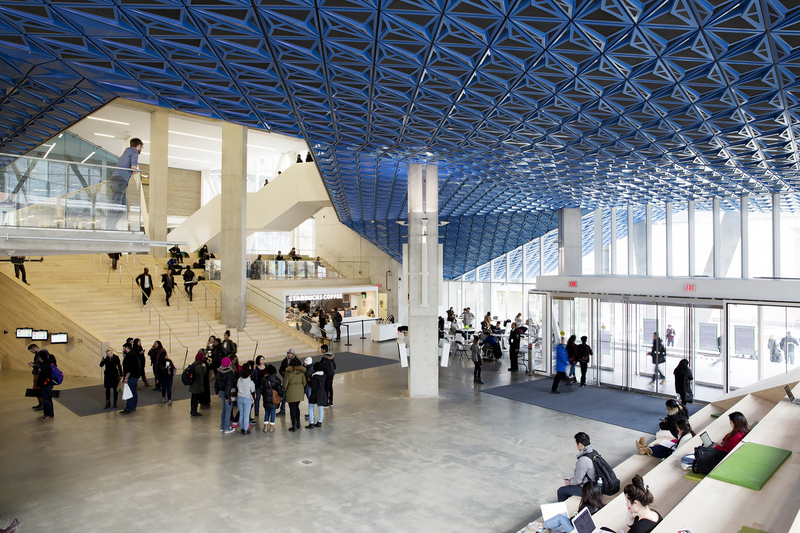 Atrium defines the lobby where also has security checkpoints, and informal seating areas, café, and the University’s welcome desk for visitors and prospective students. 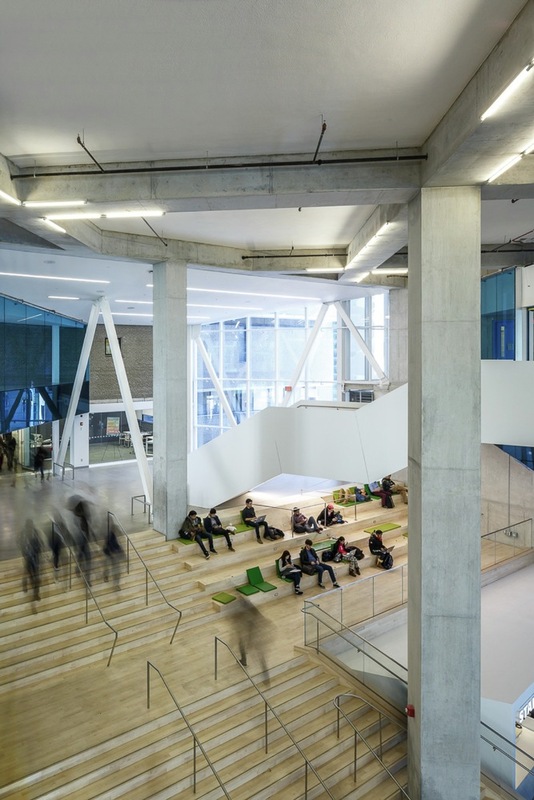 It also acts as a multi-purpose forum with integrated seating and performance technology for events such as fashion shows or music performances. 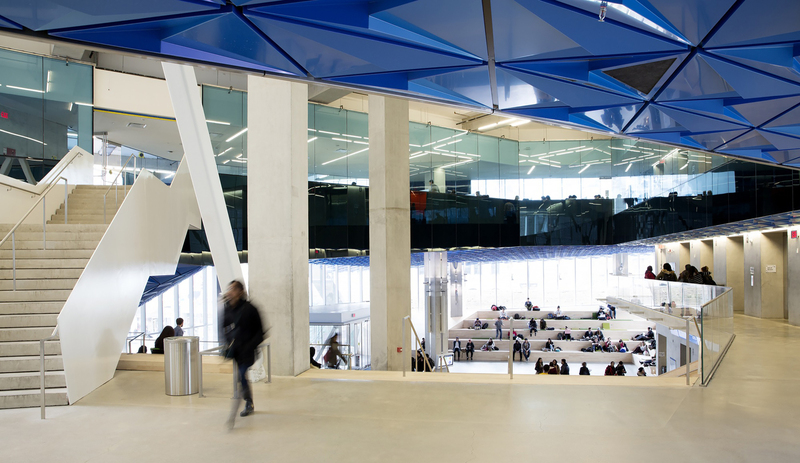 There are uniquely colored elevators and stair landings and at least 50 % of the roof will be a dedicated green roof.